GHAC – HVAC. 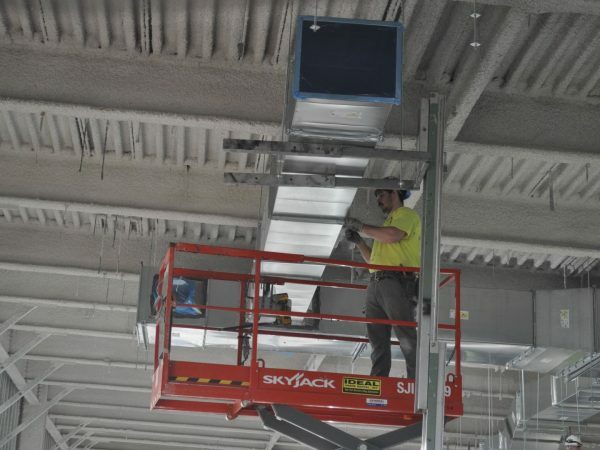 GHAC will perform design assist services to install the HVAC system for the facility including air handling systems, heating water, chilled water, plant steam, and humidification. Like many major projects, the construction schedule posed major challenges. As the building became a core and shell structure, the major work of completing the tenant improvement portion was being designed. GHAC strived to include as many of the tenant improvement elements in the core and shell structure as possible. This challenged our BIM and preconstruction teams to keep up with the fast moving schedule. 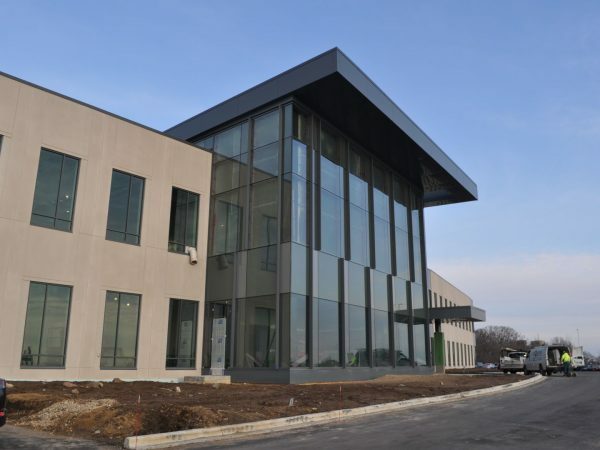 GHAC played a key role in coordination between mechanical trades and facilitated design services with the engineer which helped mitigate scheduling challenges. Plumbing – Specialized Plumbing. 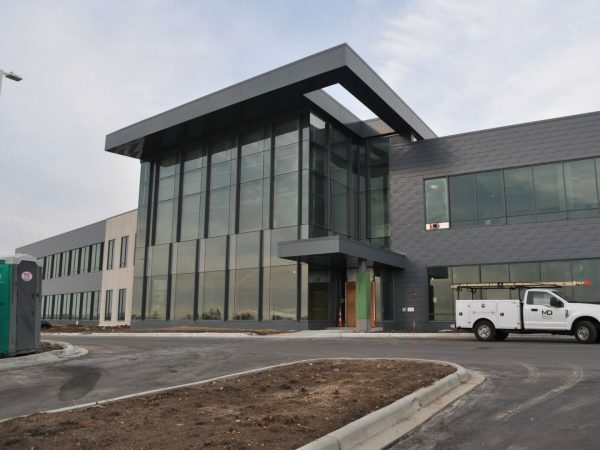 Hooper plumbing crews are installing specialized waste piping materials and equipment to neutralize the waste before entering the city service in this complex production facility. The reverse osmosis (RO) water system with individual loops to each floor of each wing of the building will help keep disruptions to a minimum. Crews followed unique standards while installing specialty systems for oxygen, clean steam, natural gas and compressed air. Custom Metals. The Hooper custom metals crew fabricated a stainless steel wall system for the sterilization space as well as custom stainless steel shelving and stainless steel ceiling utility panels. The Piping Department is currently making headway on the natural gas, process vent, clean steam, and oxygen systems, which are critical to enzyme production and research that will be conducted at the facility. In the coming months, the primary focus will be on installing the clean steam generator and completing the process piping in the Fermentation Suites. To date, our pipe fitters onsite have installed over 2,000 feet of pipe. Fire Protection. 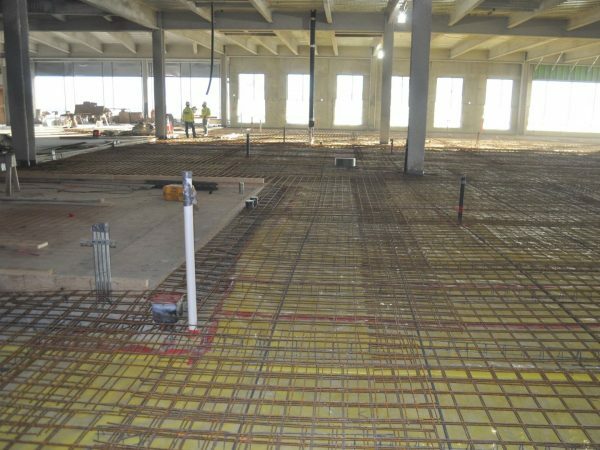 The Fire Protection Department used BIM to design the entire project and coordinated with all other mechanical trades. Crews installed nine sprinkler systems total, five wet sprinkler system zones, pre-action sprinkler system zones with two total pac cabinets, two clean agent zones, one 1500 GPM electric fire pump, 800 sprinklers, and over 20,000 feet of sprinkler piping.